As Android devices are now becoming more and more popular, they are also more capable computer-replacement. 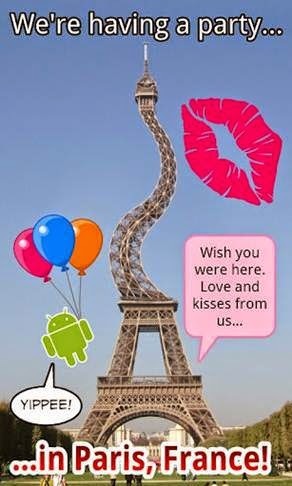 Android devices with the help of some applications, they can also perform some functions which our traditional computer does, functions like photo editing. Android devices users can now improve their photos look with some awesome applications on Google Play Store, but the problem most users has is that, they are unable to choose from the vast majority of applications available in the market, although most of them are nothing to write home about, they are just time wasting applications. To avoid the stress of searching Google Play Store for the best free photo editing applications for Android devices, I have make the search and here are the best free photo editing applications you can download for free at Google Play Store on your Android devices. 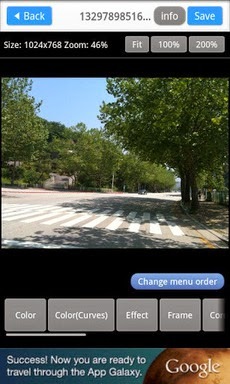 PicDay is a powerful and easy to use photo editor. It has all the traditional touch-up affects and tools to produce interesting photos. This app perform basic adjustment on exposure, contrast, temperature, tint, saturation, brightness, and hue under the “Add Effects” tab. The following features are also available under the same tab: Distort for creating a bulge, sphere, stretch, or twirl effect, Spotlight, Pixelize, Dizziness, Rainbow and Invert. The most loving feature in this app is its ability to add Word Ballons, Stickers and Titles. These additions can be arranged anywhere on the photos, they also come with customizable fonts and colors. You can later upgrade to this app paid version with $3.99 to enjoy its full features. PicsArt is another awesome photo editing app for Android devices. This app is free, Android only, full featured photo editor and art community. 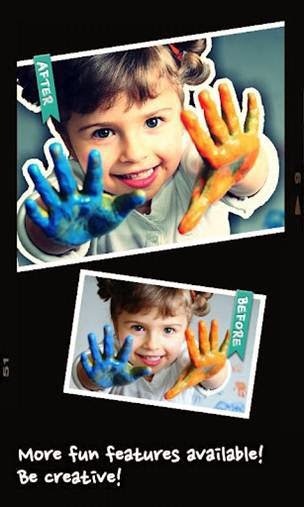 PicsArt interface is simple, clean and has an intuitive design. Application of effects and stickers is easy, no need for any tutorials. 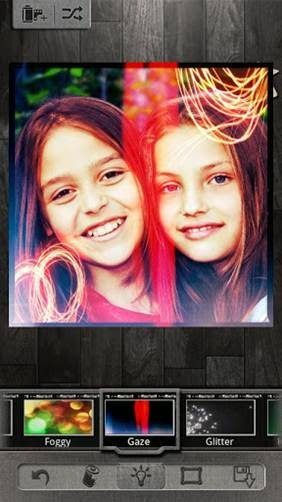 There are several plug-ins and effects you can download and integrate into PicsArt. PicsArt is embedded with features most paid photo Editing App lacks. You can give it a try to see if it could be your most preferable photo editing app. Photo Editor is a simple and easy to use app. This app possess many great features for easy manipulation of photos, such as: color adjustment, add effects, resize, frame, draw, crop and many more. Pixlr-o-matic was once awarded best app of the year in 2011. It is also a good photo editing app for Android devices; you can easily add retro effects to your photo with the app and can also transform your photos into cool looking vintage images with it. It contains so many options to choose from, with more than 5,000,000 finishes to make your photo look spectacular. Pixlr-o-matic has no ads whatsoever. AfterFocus is a good app to create stunning photos on Android devices. With AfterFocus, you can create DSLR-ish photos. Apply Focus on the object that needs focusing and set Mid and BG focus on the background for depth. Once you get use with the app, your photos will seem as if it were taken with a professional camera.